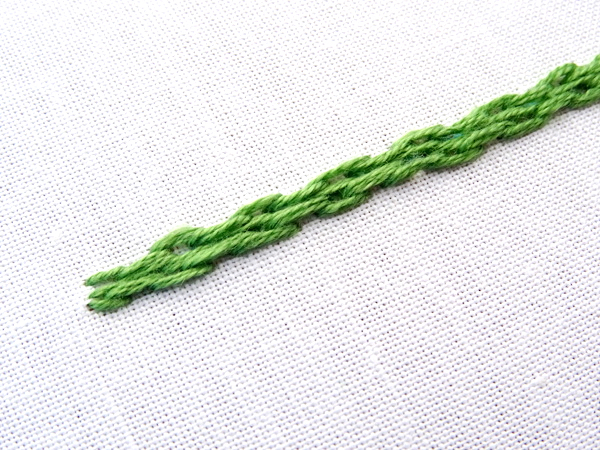 Alternate stem stitch is a basic line stitch with a twist. When stitched in a single row, alternate stem stitch makes a nubby textured rope-like border, while multiple rows stitched close together creates a brick-like pattern. 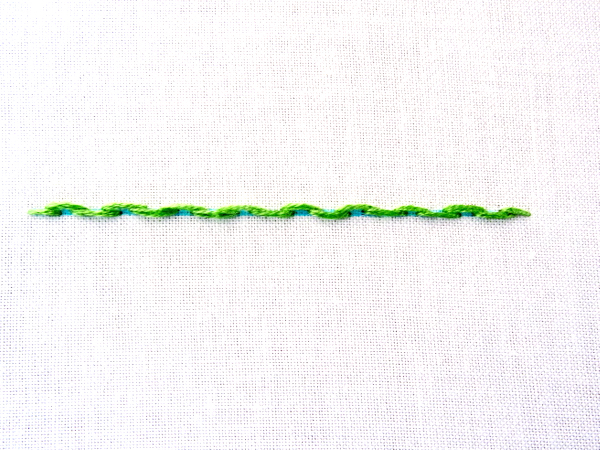 If you’re looking for a simple stitch one step above the basic stem stitch, look no farther than the alternate stem. 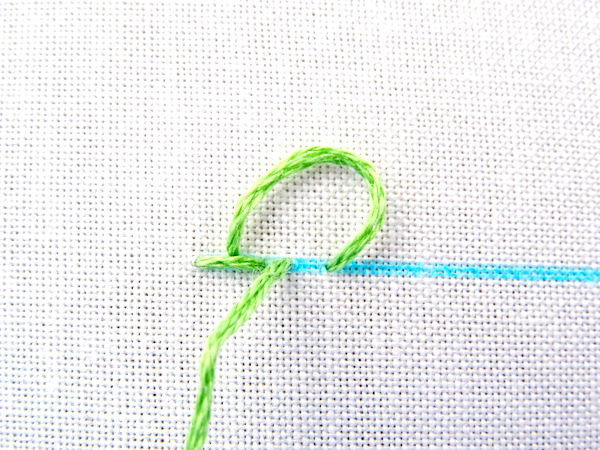 Start your alternate stem stitch the same way you would start a traditional stem stitch: bring the needle up at the beginning of the line and back down one stitch length away. Before pulling the thread all the way through, come back up in the middle of the stitch while keeping the working thread below the line. 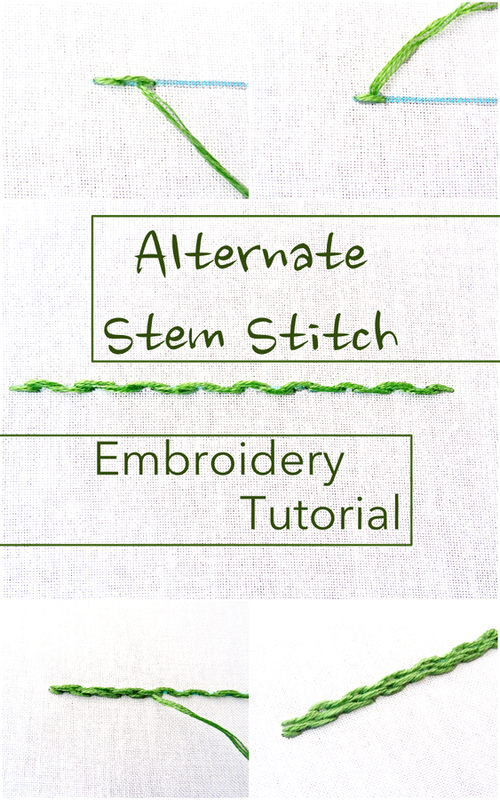 Need a stem stitch refresher? Click on over to our Basic Line Stitches Tutorial. Follow the same steps for the second stitch except keep the working thread above the line. 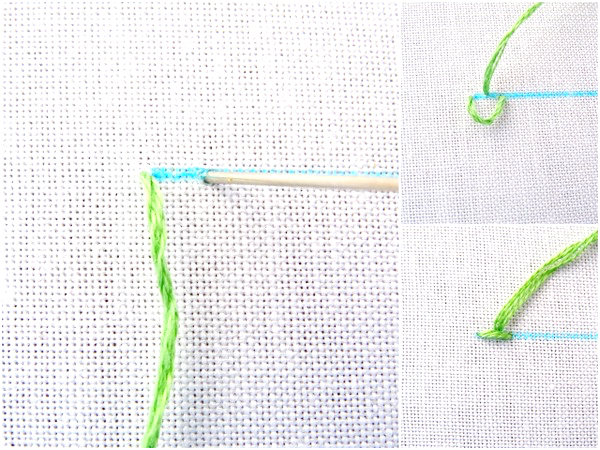 Continue stitching in this manner while alternating holding the thread below and above the line. I like to chant, above, below, above, below, to myself while stitching to keep track. The finished stitch will look a bit like a wavy line. A single line of alternate stem stitch can be worked as shown above with a small space between the stitches, or close together to create a solid line as seen in the Yellowstone National Park Pattern. The alternate stem not only makes for interesting borders but can also be used a filler stitch with a unique texture. Simply stitch additional rows above or below the first row. To achieve the correct pattern, make sure to start with the opposite method you used for the first row. For example, if you held the thread below the line for the first stitch on the first row, hold it above the line for the first stitch on the second row.